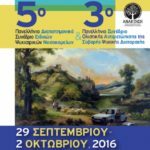 The 5th Panhellenic Interdisciplinary Conference of Special Psychiatric Hospitals and the 3rd Panhellenic Conference of Holistic Addressing with Severe Mental Disorder took place with great success in Kalamata, from 29th September to 2nd October, 2016. 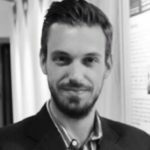 Dimosthenis Pavlou has successfully defended his PhD dissertation titled: Traffic and safety behaviour of drivers with neurological diseases affecting cognitive functions. This PhD thesis was carried out at the Department of Transportation Planning and Engineering at the School of Civil Engineering of the National Technical University of Athens under the supervision of Prof. George Yannis. The impact of brain pathologies on reaction time, accident probability, driving errors, and driving performance was under investigation. 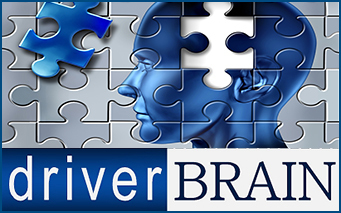 The driving behaviour was examined in terms of both traffic and safety behaviour and the neurological diseases affecting cognitive functions concerned Alzheimer’s disease (AD), Parkinson’s disease (PD), and Mild Cognitive Impairment (MCI). 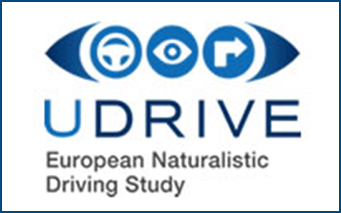 A large-scale driving simulator experiment was carried out, comprising a medical/neurological and neuropsychological assessment of 225 drivers, and a set of driving tasks for different scenarios. 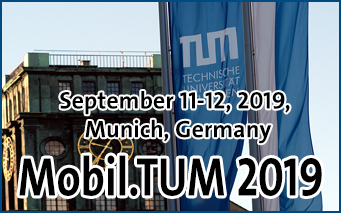 An innovative statistical analysis methodology has been developed and implemented, based on Regression Models, Principal Component Analysis and Structural Equation Models. 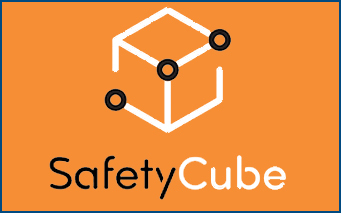 – Providing an overview and analysis of various countermeasures, including ITS, aimed at increasing road safety for all older road user groups. 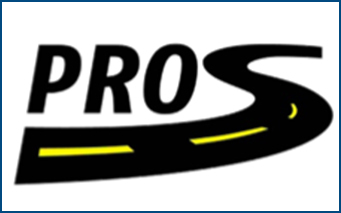 A dedicated Symposium on Older drivers is organised to take place on 3 August 2016, during the Sixth International Conference on Traffic and Transport Psychology (ICTTP2016) in Brisbane, Australia. 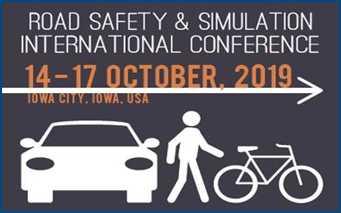 This symposium will address current issues in older driver safe mobility and will present the results of significant research undertaken across two continents. 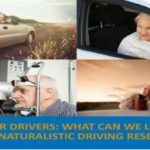 Using the experiences learned from naturalistic driving studies, the participants will become aware of what is known about the driving patterns of older adults. 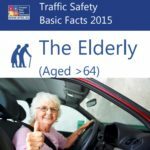 Road Safety of the Elderly in the EU is highlighted at the Traffic Safety Basic Facts 2015 available at the European Road Safety Observatory of the European Commission. 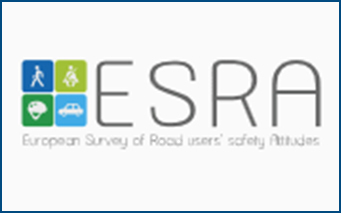 These Traffic Safety Basic Facts contain a comprehensive series of statistical tables with the latest available data from the CARE database of the European Commission. 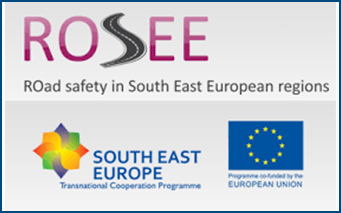 In 2013 almost 6.500 elderly people died in road accidents in EU. Although older drivers are involved in less accidents, they represent one of the highest risk categories probably because of their great fragility and reduced tolerance to injury. The number of elderly people who died in the EU countries fell by 26% between 2004 and 2013. 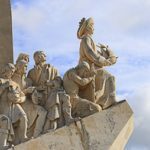 The 14th International Conference on Mobility and Transport for Elderly and Disabled persons (TRANSED) took place with great success in Lisbon on 28-31 July 2015. 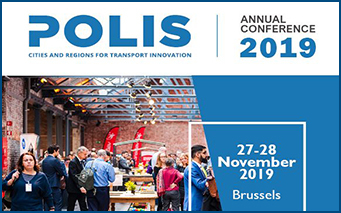 The main objective of the Conference was to promote and encourage the development of transport services and systems that meet the needs of people with some sort of disability through the exchange and dissemination of knowledge and experience. 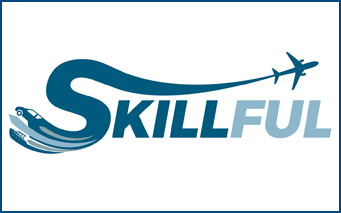 New cases and experiences and new knowledge were presented with focus on ambitious aim setting and management for inclusive access for all types of temporary or permanent disabilities. 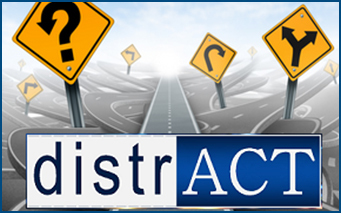 How does distracted driving affect reaction time of older drivers? 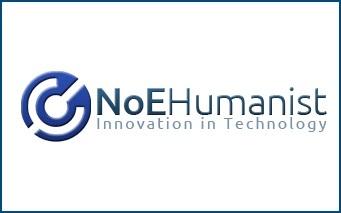 The International Conference on Ageing and Safe Mobility, organised by the Federal Highway Research Institute (BASt), the Forum of the European Road Safety Research Institutes(FERSI), the European Conference of Transport Research Institutes (ECTRI), the European Transport Research Alliance (ETRA), the European New Car Assessment Programme (Euro NCAP), the Forum of European National Highway Research Laboratories (FEHRL) and the Human Centred Design for Information Society Technologies Network (HUMANIST) took place with great success in Bergisch-Gladbach, on 27-28 November 2014. 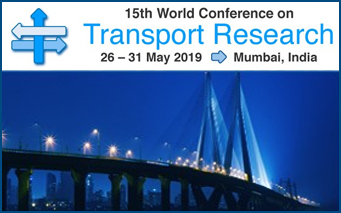 The Conference was attended by more than 200 road safety experts and focused on the road safety problems of elderly road users and it aimed at elaborating policy recommendations concerning implementation of available road safety evidence based research results. 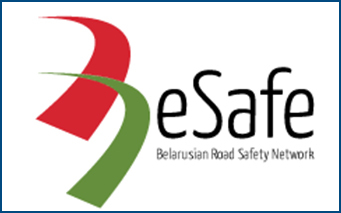 In the nine sessions that took place over two days participants discussed all aspects of the road safety for elderly: human factors, infrastructure, vehicle engineering and traffic management systems. 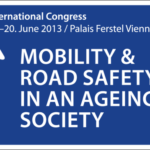 The Austrian Traffic Safety Board (KFV) organised the International Congress: Mobility and Road Safety in an Ageing Society, which took place in 19-20 June, in Vienna. 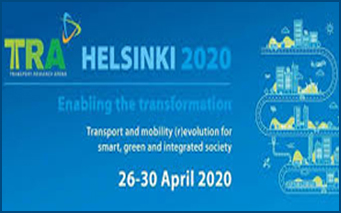 The Congress focused on future aspects and solutions of mobility and transport versus safety and quality of life in the context of an ageing society and it brought together a wide spectrum of more than 200 safety and mobility experts to discuss all aspects of this contemprorary issue of growing importance. The Abstract book together with all the presentations are available at the Conference website. 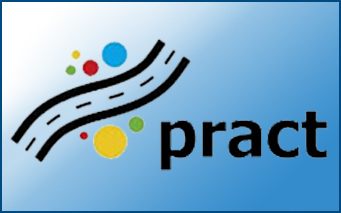 Road Safety of the Elderly in the EU is highlighted at the Traffic Safety Basic Facts 2012 available at the Road Safety Knowledge System of the DACOTA project within the framework of the European Road Safety Observatory of the European Commission. 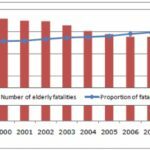 6.304 elderly people (>64 years old) were killed in road traffic accidents in the EU countries in 2010. This figure constitutes 21,7% of road traffic fatalities of all ages in 2009. The number of elderly people who died in road traffic accidents fell by 30% between 2001 and 2010. 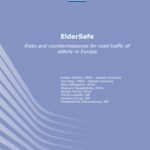 Road Safety of the Elderly in the EU is highlighted at the Traffic Safety Basic Facts 2011 recently released at the European Road Safety Observatory of the European Commission as prepared by the DACOTA project. 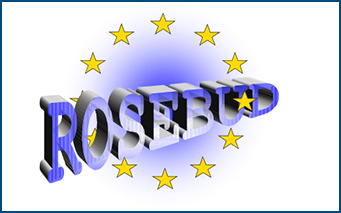 Almost 7.000 elderly people (>64 years old) were killed in road traffic accidents in the EU countries in 2009. 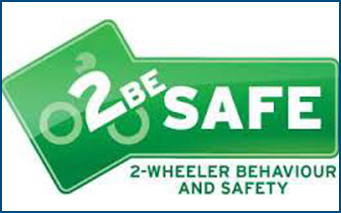 This figure constitutes 21,7% of road traffic fatalities of all ages in 2009. The number of elderly people who died in road traffic accidents fell by almost a quarter between 2000 and 2009. 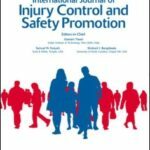 A research titled ‘Investigation of the acceptance of a handbook for safe driving at an older age’ co-authored by Sophia Vardaki and George Yannis from NTUA, was recently published in the International Journal of Injury Control and Safety Promotion. 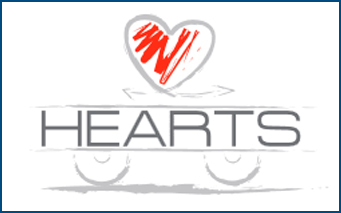 The handbook was developed with the purpose of increasing elderly drivers’ awareness of their driving abilities and providing information about the effects of ageing on driving and about safe driving practices and compensation strategies. 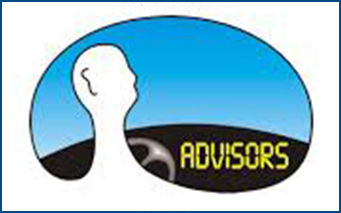 Binary logistic analysis was conducted to identify individual driver characteristics that might predict acceptance of the handbook by active older drivers in terms of reported increased awareness and intended repeated use. 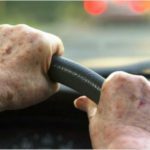 The findings of the research indicate a quite positive attitude of elderly active drivers towards the handbook, as more than half of them reported that they had become more aware of changes in their driving after reading it. 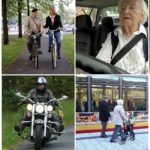 Road Safety of the Elderly in the EU is highlighted at the Traffic Safety Basic Facts 2010 recently released at the European Road Safety Observatory of the European Commission as prepared by the DACOTA project. 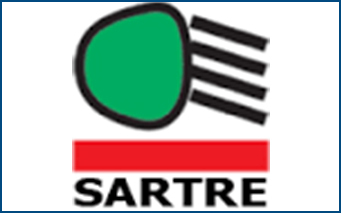 Almost 7.150 elderly people (>64 years old) were killed in road traffic accidents in the EU countries in 2008. This figure constitutes 20,1% of road traffic fatalities of all ages in 2008. The number of elderly people who died in road traffic accidents fell by almost a quarter between 1999 and 2008. 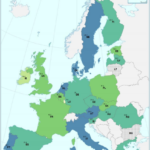 Far more males than fatalities are killed in road accidents in all EU-23 countries. 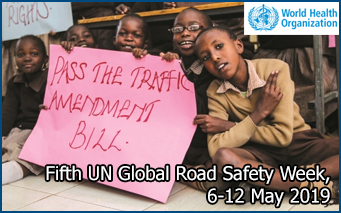 Most road fatalities are within the 25-64 age group. 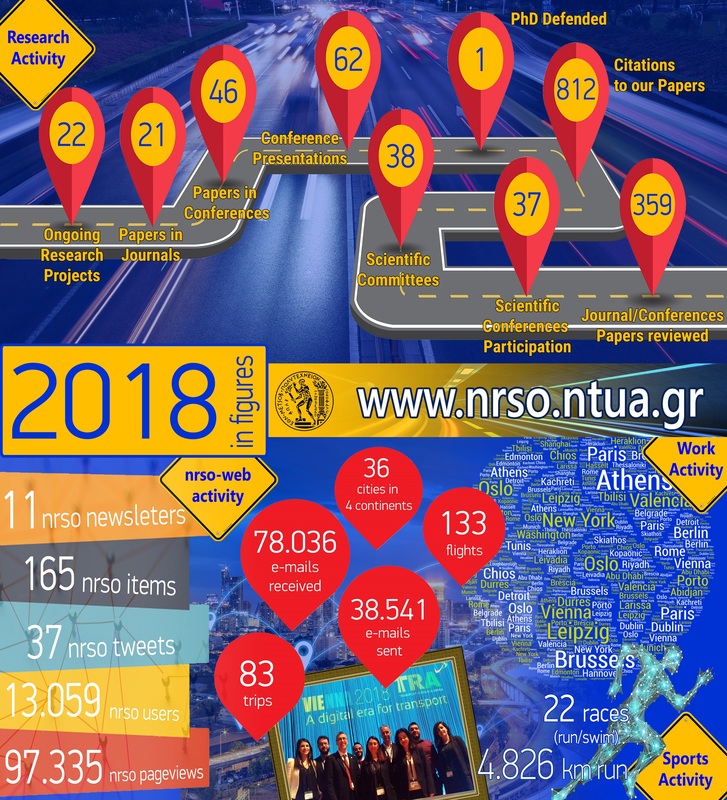 The Handbook for Safe Driving at an Older Age has been prepared by the Department of Transportation Planning and Engineering of NTUA under the scientific supervision of Prof. G.Kanellaidis, in the framework of a project granted by the Ministry of Infrastructure, Transport and Networks. The Handbook aims to assist older drivers increase their self-awareness of the effects of age-related changes on their driving safety and of the need to adapt their driving behavior, to assist older drivers improve their knowledge and develop appropriate concern for their own safety, and finally to guide older drivers to make informed driving decisions. 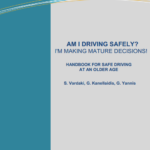 The Handbook was based on self-screening and educational material for older drivers as well as on the results of a study on the driving behavior of active older drivers, aged 65-74, on a freeway in Greece. Issues covered in the Handbook concern safety within the car, safety in traffic, safe practices on freeway, driving and emotion, driving in good condition, driving problems and age-related changes, indications of serious concern about driving ability and general information such as on procedures for driving license renewal, use of public transport and ways of getting around. 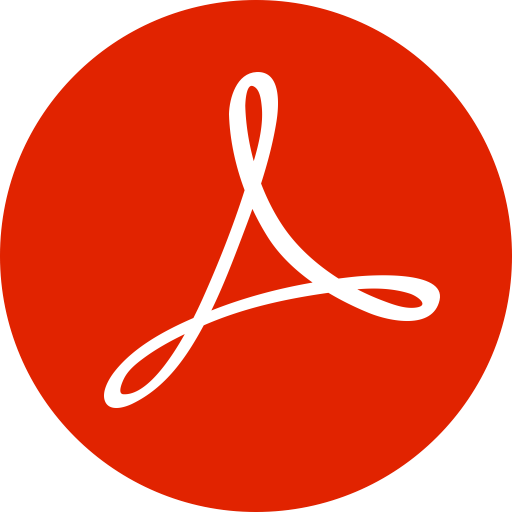 The Handbook is available both in Greek and English languages. 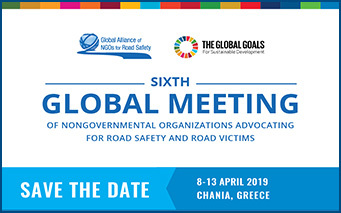 According to the data male drivers account for more than 60% of all road fatalities in Greece, while young male drivers account for more than 50% of all male driver fatalities. Older drivers account for more than 50% of pedestrian fatalities. 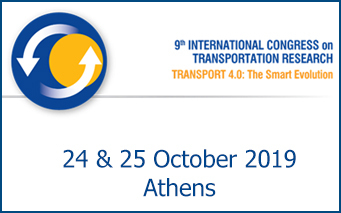 A paper titled “Older Drivers’ Perception and Acceptance of In-Vehicle Devices for Traffic Safety and Traffic Efficiency” co-authored by G.Yannis, C.Antoniou, S.Vardaki and G.Kanellaidis was published in ASCE Journal of Transportation Engineering. A multitude of new technologies are emerging, many of which are either explicitly targeted to older drivers or expected to benefit them the most. 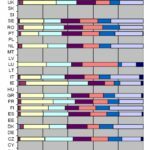 However, these same older drivers are more likely to find adapting to the use of such technologies challenging. 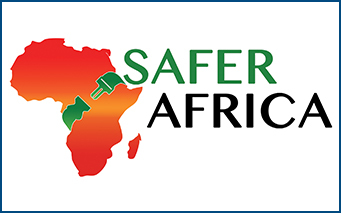 Therefore, understanding older drivers’ perception of such devices will allow experts to take the necessary steps to ensure their smoother acceptance and complete success of their deployment. Older respondents are, in general, more supportive of the considered in-vehicle technologies, while female respondents also show a higher willingness to adopt them. 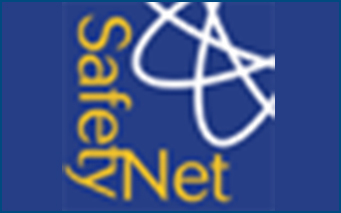 The road safety problem of older drivers has been highlighted at the recently released synthesis of the European Road Safety Observatory as prepared by the SafetyNet project. Older drivers have the second highest fatality rate. 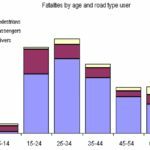 Only the youngest group of drivers (18-and 19-year olds) has a higher fatality rate. Older drivers are not so much a risk to others, but they are at risk themselves. This means that older drivers are not a risk to others’ transport safety, but they are frailer, making them vulnerable to personal injury or fatality risk in the event of a crash. 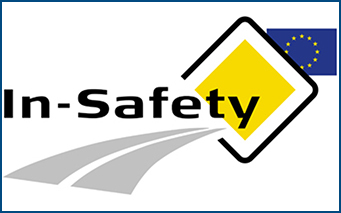 In May 2008, ETSC published a PIN Flash concerning road safety of the elderly. 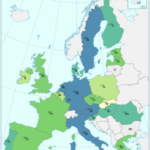 Older people account for one sixth of European population. 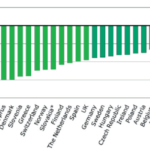 Portugal and Israel scored the highest average annual reduction (over the period of 1997-2006) of 8% and 7% respectively in elderly road mortality expressed as number of deaths among older people per 100,000 elderly population. France ranks third with an annual average reduction of over 6%. Greece among other countries follows with reduction above the EU average of 3.7%.